OTTERS: RIVER MASTERS OF YELLOWSTONE is a collage of the lives of several otter families in Yellowstone. The story is told through the eyes of a female and her two pups. 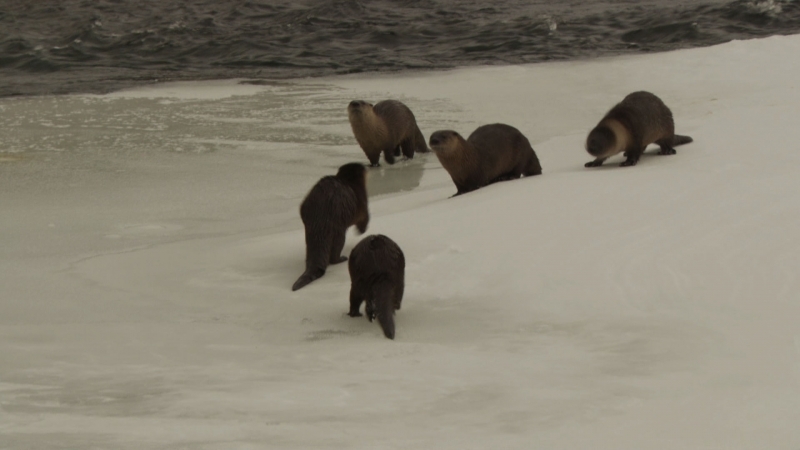 As she travels the park’s rivers and lakes, the female is joined by other otter families to hunt fish and fend off coyotes together, social behavior is not often seen in wild otters. Ample intimate behavior includes play, both above and below the water, surfing, and searching for a lost pup.